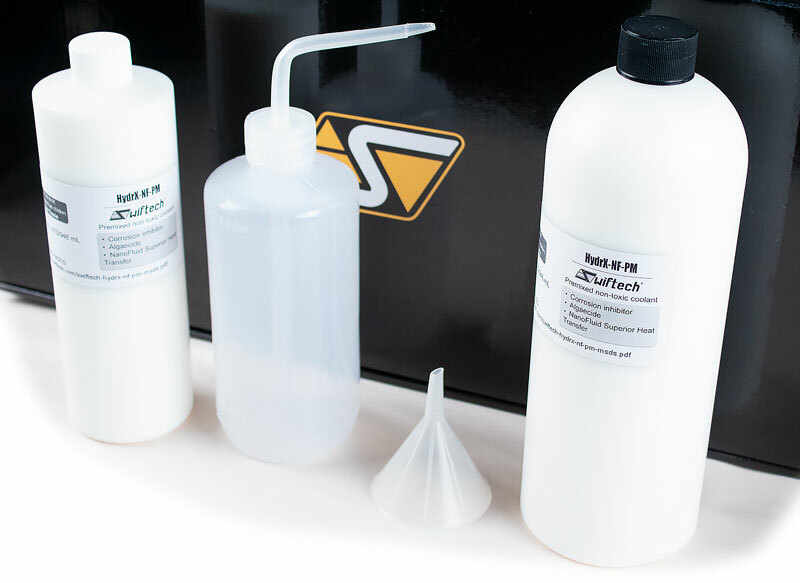 Swiftech's new DIY product line-up is here! 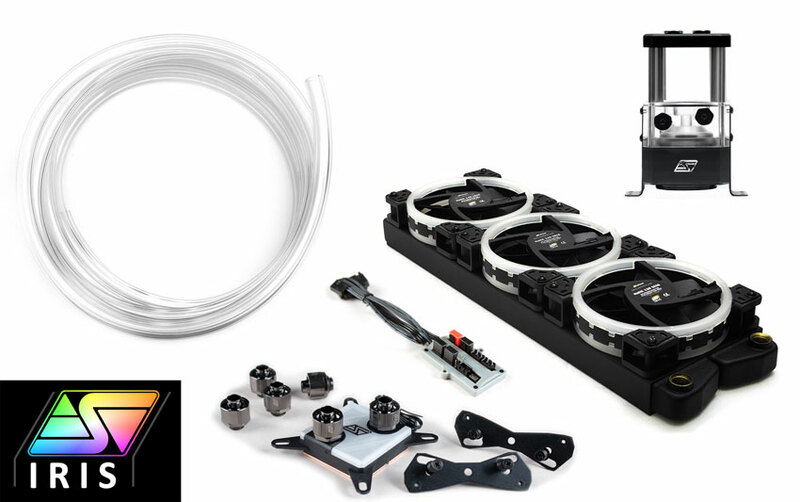 With the release of multiple DIY components such as the Apogee SKF-LT, the Hydrae GT radiators and Helix 120 IRIS fans or the new Maelstrom D5 V2, Swiftech is now offering a brand new DIY Kit: The Swiftech Boreas liquid cooling kit! 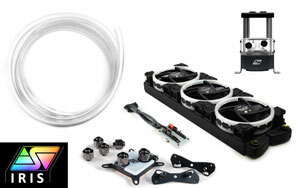 The whole kit revolves around Swiftech's IRIS lighting ecosystem with everything from the CPU waterblock to the fans featuring addressable RGB LED's which can be controlled in several different ways such as Swiftech's IRIS ECO controller or directly from compatible motherboards through Swiftech's IRIS MB Link adapter. A new Swiftech controller is also in the works and will feature Windows based software. Swiftech's Boreas configurator allows for dozens of possible combinations: with three radiator sizes, four reservoir sizes and two choices for fittings you will find the Boreas configuration right for your specific needs. But it doesn't stop here as the reservoir can also be ordered with one of six accent colors to make sure the Boreas cooling kit blends in any custom build. Each Swiftech Boreas cooling kit is carefully QC'ed and prepared by our trained technicians right here in California. Each kit ships with a quality control certificate which cover over ten additional visual and functional check points. Whether you are an expert with custom liquid cooling loop, or new to it and recently graduated from AIO CPU cooling, the Swiftech Boreas will give you everything you are looking for with Liquid Cooling: great performance, quiet operations, long lasting DIY grade components, customization options and great support. If you have any question about any of product, please do not hesitate to call or join our Discord servers and let us guide or help you with your project! At the core of all Boreas DIY kits is one or more of Swiftech's new Hydrae GT Series Radiator(s). These high performance Copper and Brass radiators combine elegance, their unique premium paint to perfectly balanced performance, in a thin and compact form factor suited for maximum compatibility even when working with the most challenging mid-tower chassis. With a fin density of approximately 14 FPI (Fins Per Inch) the Hydrae GT Series offers great performance with both low and high CFM fans. And with PWM controlled fans such as the Swiftech Helix 120 IRIS excellent cooling is guaranteed regardless of the game, application or benchmark running. 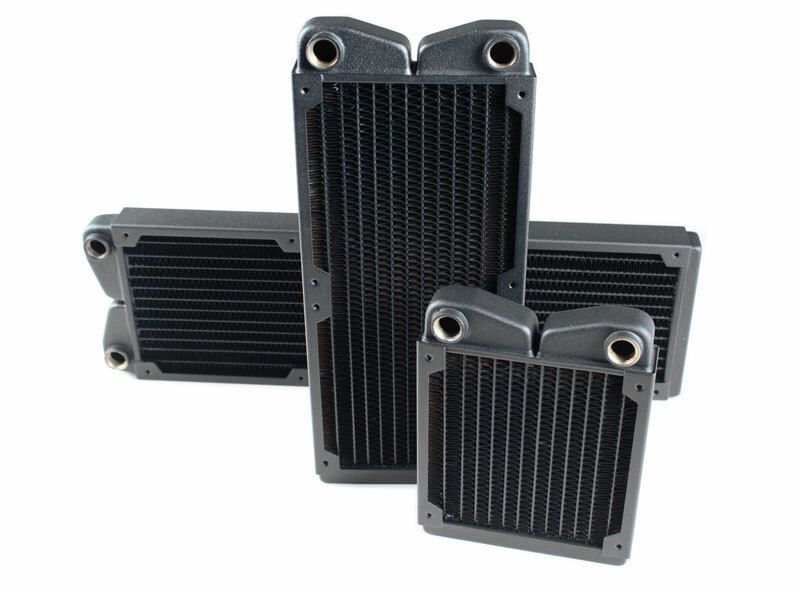 Based on the positive user feed-back we experienced with the quality and finish of our X3 AIO coolers, we implemented the same powder-coat like treatment on the radiator plenums and frame, which gives an elegant textured finish unique to Swiftech Hydrae radiators. 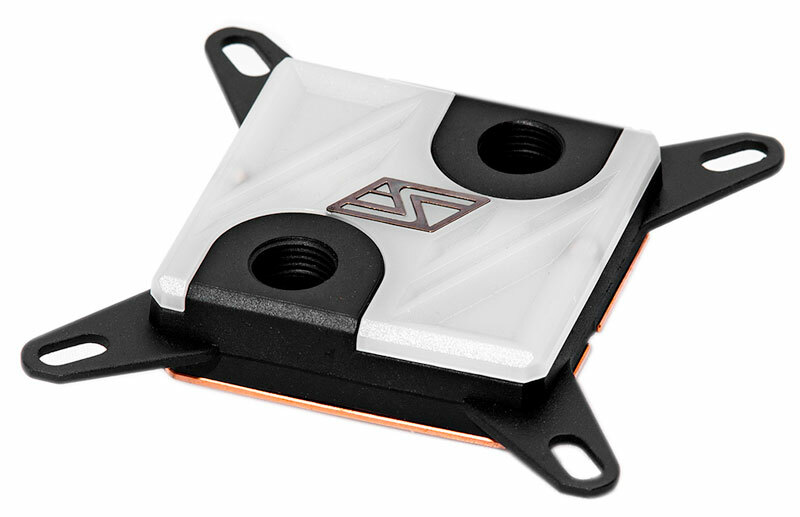 The Maelstrom D5 V2 is Swiftech's reservoir of choice for the new Boreas DIY kits. Inspired by both our Heirloom Events and the original Maelstrom D5, the V2 gives any custom loop a unique look thanks to countless customization options enabled by four reservoir sizes (50 mm, 100 mm, 200 mm or 300 mm) and one of six accent colors (black, dark grey, silver, red, blue and green. All reservoirs come already assembled with the Swiftech MCP65X (Laing/Xylem D5 PWM) pump for best performance and quiet operation. 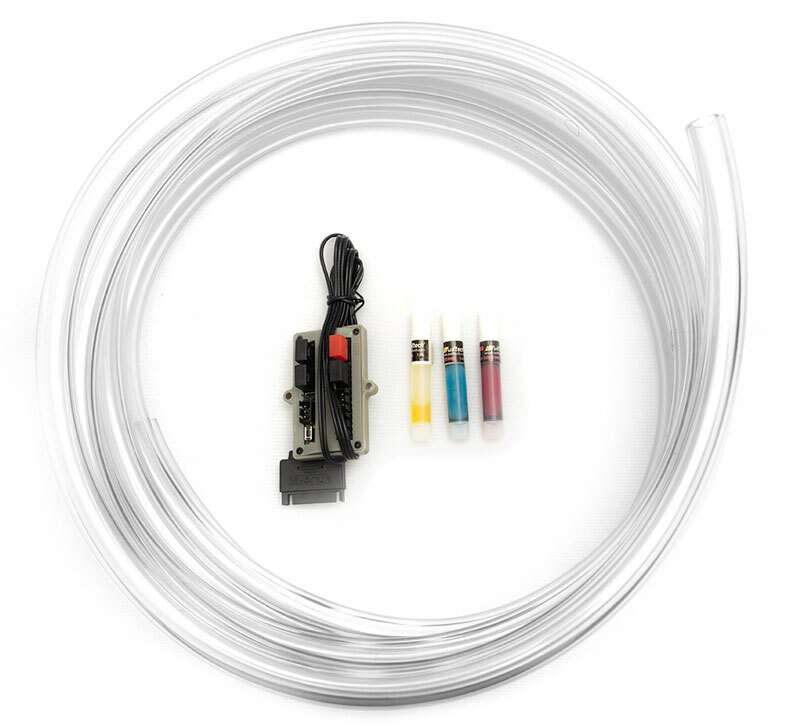 The Swiftech Boreas kits can be configured to ship with standard barb fittings and clamps or with Swiftech's Lok-Seal compression fittings. 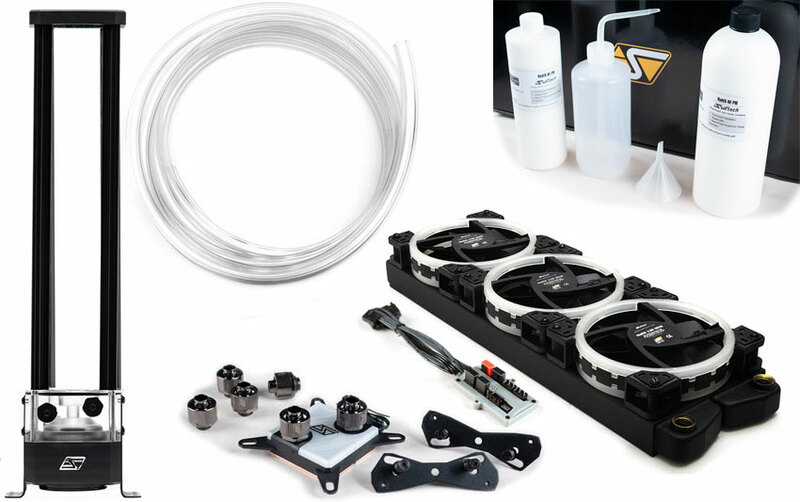 Six fittings are included with each kit to connect the 3 main components of the kits (CPU waterblock, radiator and pump/reservoir combo). 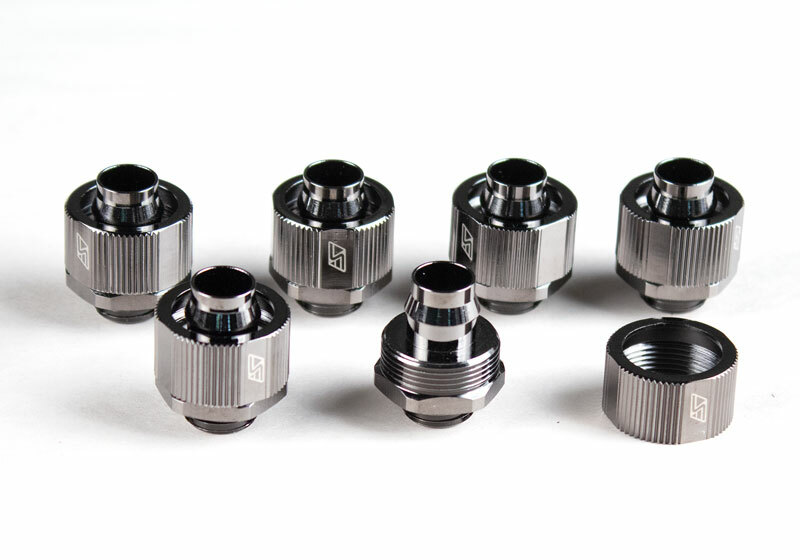 All fittings are made of high quality Brass material and feature Swiftech's "Black Chrome" signature. 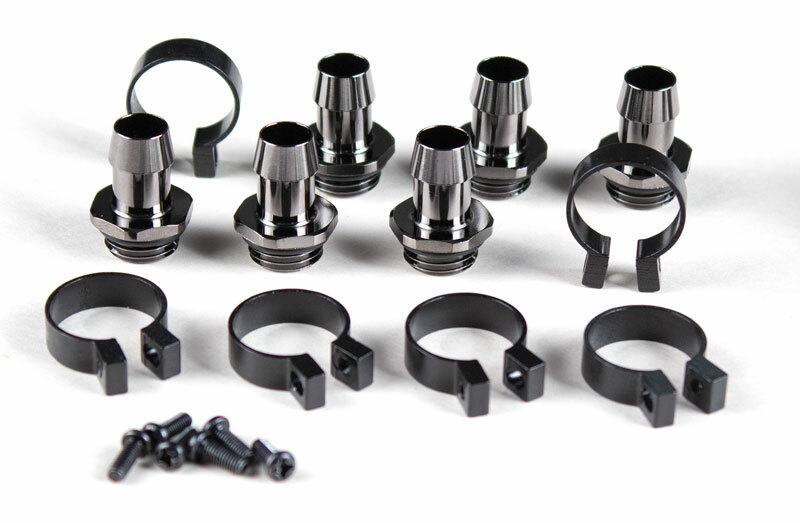 The clamps included with barb fittings are Screw-In type, they are made of extruded aluminum and anodized black. Here is an example of a Swiftech Boreas kit installed in a relatively small chassis. This build sample is meant to illustrate how compact the new Hydrae GT radiators are and the general instructions to install a Swiftech Boreas kit in your system. Since all builds are different how and where components are installed will depend on the hardware you choose to work with.